Liverpool are reportedly edging ever closer to wrapping up a deal for Stoke City’s Xherdan Shaqiri, with claims that he is undergoing his medical on Friday morning. With his World Cup commitments over after Switzerland’s elimination in the last-16, the 26-year-old is now seemingly set to sort out his club future. Shaqiri has spent the last three seasons with Stoke after his move from Inter, contributing 15 goals in 92 appearances as he was unable to inspire their escape from relegation last season. The Potters in turn will cash in, with ESPN noting that Liverpool will meet his £13m release clause, with Jurgen Klopp seemingly now set to bolster his attacking options ahead of the new campaign. The German tactician saw his attacking trident of Mohamed Salah, Roberto Firmino and Sadio Mane emerge as one of the most potent attacks in Europe last season. However, if the Reds are to compete on various fronts, they will need quality and depth as well as a different dynamic in the final third, and it would appear as though Klopp is confident that Shaqiri can provide that. As per the ESPN report above, Liverpool have already officially announced the signings of Fabinho and Naby Keita this summer to strengthen their options in midfield, which was particularly needed after Emre Can’s exit on a free transfer. Now it would appear as though Klopp and the Merseyside giants are switching their attention elsewhere, with journalists Paul Joyce and James Pearce both noting that Shaqiri’s medical has started, as seen in their tweets below. 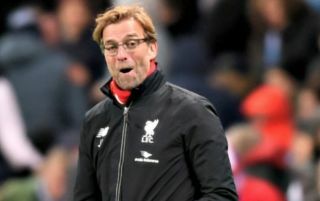 Whether or not he can consistently deliver at the highest level remains to be seen, but given Klopp’s track record of improving players at Anfield, he will perhaps relish the chance to develop his game.